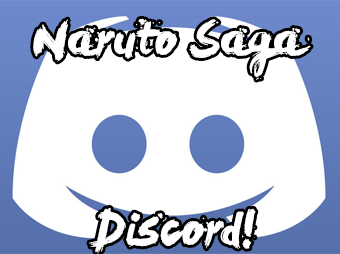 Naruto RP Saga » Hi no Kuni » Konohagakure » Chunin Exams Rewards! As the Chunin Exams come to a close, those who fought through the tournament may redeem the following rewards based on their placement in the Exams. Prizes can be redeemed through the Admin Requests thread based on rounds won in the prize tier list below. Winners of Round Two, and the second round of the Loser's bracket receive a bonus EP reward for their victories equal to 5 EP. Winners of Round Three, and the third round of the Loser's Bracket receive the unique Winner's Proof consumable item only obtainable through the Autumn Hi no Kuni Chunin Exams, 2018-19. Ability/Function: This unique consumable, infused with positively aligned chakra, acts as a special focus, and may be used in conjunction with any technique in its owner's Jutsu List by consuming the innate charge within this special medallion, provided they are able to touch it. When activated, this ability removes the need for the user to perform pre-requisites (such as preparation, or hand seals) for the technique they have chosen to utilize this effect with. This effect may only be activated once per thread. Appearance: A 4x4cm bronze medallion with the symbol of the Land of Fire embossed into its surface. History: Given as a prize for the Autumn Hi no Kuni Chunin Exams, 2018-19, for contestants who exhibited the strength to advance past the third round. [b]Ability/Function:[/b] This unique consumable, infused with positively aligned chakra, acts as a special focus, and may be used in conjunction with any technique in its owner's Jutsu List by consuming the innate charge within this special medallion, provided they are able to touch it. When activated, this ability removes the need for the user to perform pre-requisites (such as preparation, or hand seals) for the technique they have chosen to utilize this effect with. This effect may only be activated once per thread. [b]Appearance:[/b] A 4x4cm bronze medallion with the symbol of the Land of Fire embossed into its surface. [b]History:[/b] Given as a prize for the Autumn Hi no Kuni Chunin Exams, 2018-19, for contestants who exhibited the strength to advance past the third round. Winners of Round Four, and winners of the fourth round of the Loser's Bracket receive a bonus EP reward for their victories equal to 10 EP. Winners of the Winner's Bracket Semi-finals receive the unique Village Honors armor item only obtainable through the Autumn Hi no Kuni Chunin Exams, 2018-19. Protection: Strikes and weapons of B-rank and lower have their damage reduced by one rank. This unique headband provides a special focus for shinobi who wear it, and serves as a reminder of their nation. While worn, as long as the wearer is near (in the same thread, can interact with) a shinobi who shares a nation with them, they are granted +1 tier to the stat of their choice (applied for with this item before adding to locker). Appearance: An otherwise standard forehead protector bearing the symbol of the owner's nation. History: Given as a prize for the Autumn Hi no Kuni Chunin Exams, 2018-19, for contestants who honored their nation by advancing to the Winner's Bracket or Grand Finals. [b]Protection:[/b] Strikes and weapons of B-rank and lower have their damage reduced by one rank. [b]Appearance:[/b] An otherwise standard forehead protector bearing the symbol of the owner's nation. [b]History:[/b] Given as a prize for the Autumn Hi no Kuni Chunin Exams, 2018-19, for contestants who honored their nation by advancing to the Winner's Bracket Finals. Winners of the Loser's Bracket Rounds 5-7 may redeem their victories passive EP at double the normal rate and maximum cap, and receive a bonus 5 EP for their victories. 5 free A-rank or lower techniques. Free B-rank or lower item. Village Honors Hitai-ate (for Loser's Bracket Winner). May redeem Grand Finals match WC for double the normal passive EP rate and cap.